Melia Marden is the executive chef at The Smile and The Smile To-Go. She is a graduate of Harvard and the French Culinary Institute. She and her food have been featured in GQ, Vogue, the New York Times, and more. She lives in New York City. Melia Marden grew up in New York and Greece, where she enjoyed great seasonal food and a family that loved to entertain. As executive chef at New York City's hotspot, The Smile, she develops an ever-changing seasonal menu rooted in Mediterranean flavor that has been raved about by Frank Bruni and Padma Lakshmi and is loved by celebrities. 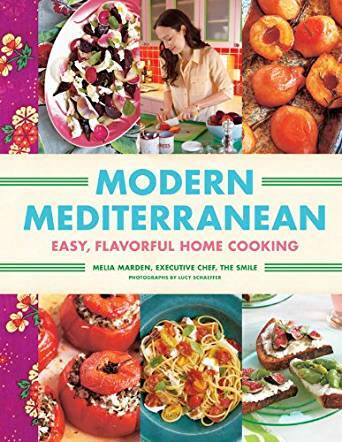 Now, in Marden's first book, she presents 125 easy Mediterranean-inspired recipes for the home cook. From Minted Snap Peas to Watermelon Salad to Summer Steak Sliced Over Corn to Almond Cream with Honey, these are recipes calling for fresh ingredients and bold flavor but requiring no special techniques or equipment. Including 100 photos, this is a gorgeous, unique package that will charm and inspire home cooks everywhere.